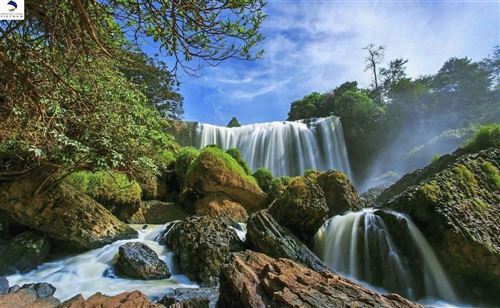 If your trip to Vietnam includes stops at beaches and mountainous areas, you will need clothes for all temperatures. A swimsuit, sunglasses, a hat, t-shirts, shorts that are not too revealing, long trousers, some light-weight, long-sleeved tops and a light jacket that is wind and rain-resistant will get you through most trips. 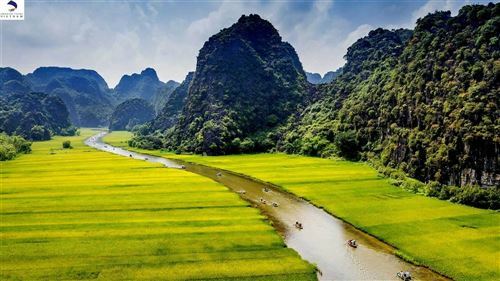 If you plan to visit northern Vietnam in the winter, you’ll need a warm coat. Mountainous areas can get chilly; choose clothes you can layer. If trekking is on your agenda, you will need sturdy footwear—plus lots of socks. Slip-on shoes or sandals are useful for visits to pagodas or people’s houses, as you’ll save time taking your shoes on and off. Larger cities like Ho Chi Minh City and Hanoi offer upscale bars and restaurants, so be sure to pack some clothes and shoes for a nice evening out. Leave your fl ashy jewellery at home. While imported beauty products are readily available in major cities, you’d be wise to pack staples like sunscreen, contact lens solution, tampons and mosquito repellent, as well as prescription medication. Many medicines are available in Indochina without prescriptions, but they may be out-of-date or of poor quality. for on-arrival visas. When flying into or within Vietnam, you will probably be given baggage claim tags (they will be stuck to the back of your ticket). Keep these, as you will need to show them when leaving the airport. Reading materials may be hard to find, especially in less-touristy areas, so bring some good books. While cheap, counterfeit CDs are tempting, remember that you may face trouble when you bring these illegal copies home. Film is sold in bigger tourist centers, although it may be out-of-date or sun-damaged. Stock up in Bangkok or bring it from home. For peace of mind, skip the cut-price, back-alley photo shops and get your precious pictures developed some place you trust. In Vietnam, revealing clothing is unacceptable off the beach. Shorts are generally fine – as long as they aren’t too short. People tend to dress as well as they can afford to – Vietnamese people are often astonished by some travelers’ choice of dirty and tattered clothing. When visiting pagodas, temples or Ho Chi Minh’s Mausoleum in Hanoi, shorts and tank-tops are unacceptable (no camera allowed inside HCM Mausoleum). Your knees and shoulders must be covered. Footwear and socks must be removed in pagodas. Shoes are usually removed upon entering private homes too. someone new, people may simply nod to each other or may shake hands. Using both hands to shake someone’s hand is a warm gesture of respect. Beckoning someone by crooking your finger is very rude. The correct way to call someone over is to extend your hand with the palm down and flap your fingers towards your wrist. To ask for the bill in a restaurant or shop, extend one hand in front of you with the palm raised and pretend to write on your palm with the other hand. The majority of men in Vietnam smoke. While flights are non-smoking, very few restaurants or bars offer non-smoking seating. 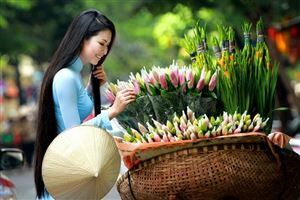 In general, Vietnam is very safe for travelers ( Even for women travellers alone). Violent attacks are rare, although theft is a problem. When possible, secure your valuables in the hotel safe. Remember to record your traveler’s cheque numbers and credit card info—just in case. Do not leave your wallet or mobile phone in the back pocket of your pants or anywhere else that’s easily reached (like an outer zip-up compartment on a backpack). Be especially vigilant in markets and other crowded places like ports and train stations. Pick-pocketing and purse-snatching are more of a problem in Ho Chi Minh City then smaller towns or cities. Some thieves approach on motorcycles, grab your belongings and race off before you’ve realized what’s happened. If you ride in a cyclo (pedicab) do not hold your bag in your lap. Sit on it! Wearing valuable jewellery (especially necklaces that can be easily grabbed) is not advisable. Use common sense and don’t walk alone after dark. If confronted by a mugger, do not resist. You’re always better off skipping cyclos or motorbike taxis at night; ask your hotel or restaurant to call a reputable taxi firm. Traffic is chaotic, especially in Vietnam. If you choose to ride a motorcycle or bike, wear a helmet. A recently-passed law in Vietnam has made it illegal to ride a motorcycle without wearing one. When crossing the street on foot, move at a slow and steady pace. Fight the urge to weave and run! Walk slowly, looking up and meeting driver’s eyes, and the traffic will flow around you. you may have to travel in basic vehicles lacking in luxuries such as air conditioning, but just think of it as part and parcel of exploring these untouched exotic destinations! 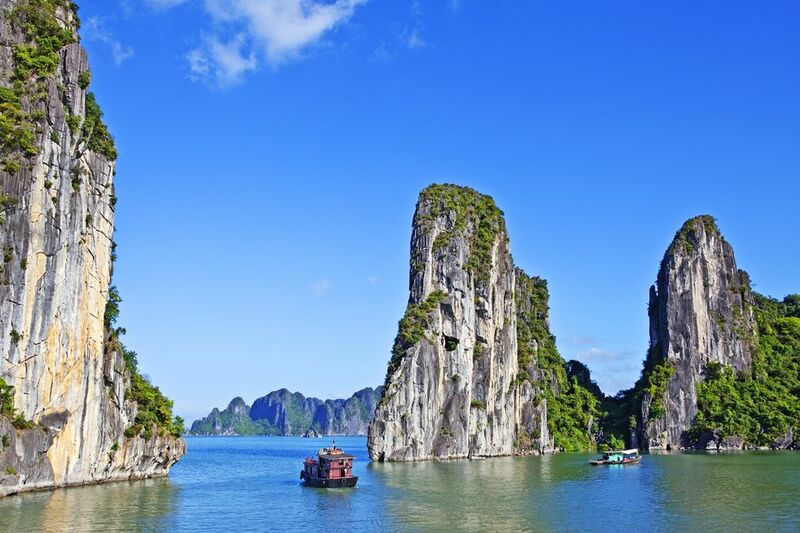 Asian nationals: Citizens of some Asian countries are exempt from visas to Vietnam for short-term stays. Japanese citizens may stay for 15 days without a visa, while Singaporeans, Thais and Malaysians are granted 30-day visa waivers. Filipinos may stay 21 days without a visa. 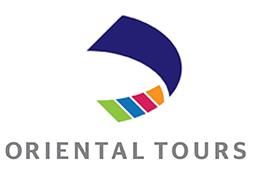 Other nationalities may apply for a tourist or business visa from a Vietnamese embassy or consulate abroad, or obtain a visa on arrival. when obtaining a visa on arrival. For other land & river borders, a visa must be obtained in advance. When entering Vietnam you will be presented with a yellow form that covers customs and immigration. Keep this form as you will need to present it upon departure. And visa information prior to entering Vietnam. This is also applicable for the airlines to issue the air-ticket and for the hotels to prepare the check-in procedure. Please be aware that our courtesy check in service is now limited due to the current world security climate. Some airports will stipulate that you must check in your own bags. We thank you for your understanding on this matter. per kg for international flights. Airport tax for both domestic and international flights is included in the ticket price from Hanoi, Danang, and Saigon airports. 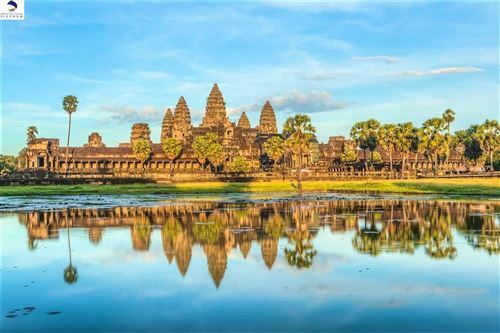 The following immunizations are recommended for travelers in Southeast Asia. Consult your doctor or local health department to discuss which ones you need: Diphtheria and tetanus: Combined vaccinations for these two diseases are usually given in childhood and should be boosted every ten years. Hepatitis A: Vaccination provides immunity for up to ten years and involves an initial injection followed by another six months to one year later. Typhoid: Vaccination takes the form of an injection or capsules. Meningococcal Meningitis: This vaccine is only recommended for travelers making extended visits to rural, northern Vietnam. Protection lasts for three years. Rabies: People making longer trips to remote areas should consider rabies vaccination, which involves three injections over a period of three to four weeks. Japanese B Encephalitis: People on trips of a month or more to areas suffering from recent outbreaks should consider getting this vaccine, which involves three shots over one month. www.travelexinsurance.com for further information. Nobody should travel abroad without travel insurance that covers emergency medical evacuation, hospital costs and repatriation. You may also wish to purchase a policy to cover lost and stolen belongings. We also advise that you check carefully policies for trip insurance before purchasing in the event of a cancellation or change to the itinerary, either for personal reasons or due to local events (e.g. adverse weather conditions, flight delay) the extra costs are covered. 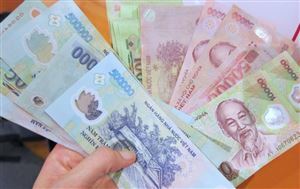 Vietnam’s currency is the Vietnam Dong (VND). You will find moneychangers in Vietnam’s airports, banks, and some high-end hotels. Many banks (open Monday to Friday) issue cash advances for Visa and MasterCard, usually for a three per cent commission. Credit cards and traveler’s cheques are widely accepted in big cities. Le Thai To, Hanoi; and at many Vietcombank branches nationwide. These ATMs only issue Vietnam Dong. US dollars are welcomed in most hotels and high-end restaurants, although you will need dong for taxis and in smaller shops. The current exchange rate is around 15,960 to the US Dollar and to update or convert into Vietnam Dong, Please Click Here! Most of the electrical current in Vietnam is 220V, 50Hz. Round two-plug pins are more common although some places use fl at pins or three-pronged pins. Cheap adaptors are sold in local markets. In all countries protect sensitive electronic equipment like laptops from power fluctuations by using a surge-protector. Vietnam uses a GSM mobile phone network and also has a new CDMA network with limited coverage over 12 cities. You can buy a SIM card and/or hand set at any mobile phone shop. ‘Top up’ credit vouchers are available at most phone shops, particularly ones displaying the network logo, or local post offices (buu dien). To rent a mobile phone in Ho Chi Minh City call: (08) 824-2382 or (04) 821-8465 in Hanoi. You can place international phone calls and send faxes at post offices or at most hotels, although hotels often charge extra fees. Public phones require phone cards, which are sold at post offices. For the best long distance rate, dial 171 before the country code and number. This line has a flat fee of $1.30 per minute to 50 countries. 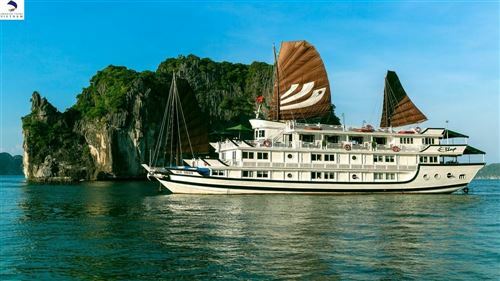 Vietnam operates on Greenwich meantime +7 hours, so at 12:00 midday in Vietnam, it will be 05:00am in London; 00:00 am (midnight) in New York; 23:00 (the previous day) in Chicago; 21:00 (the previous day) in Los Angeles. Please note that Vietnam does not have daylight saving hours. Wireless (wi-fi) Internet access is available in most hotels throughout Vietnam and internet cafes, and most bars, restaurants and cafes in Hanoi and HCMC free of charge. Higher-end restaurants will often add a service charge of five to ten percent to the bill. While tips are not expected in more casual restaurants and bars they are appreciated - wait staff earn very low wages. 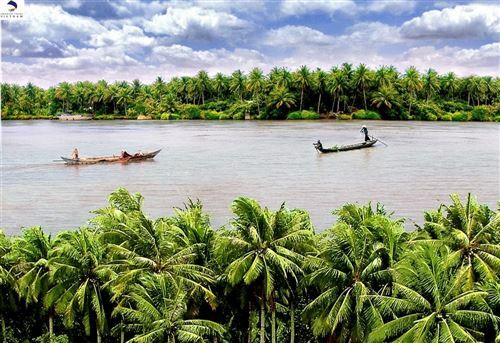 Vietnam is still developing, and so its people can be very persistent when trying to make money, especially around tourists whom they perceive as very wealthy. People will try to overcharge you, but rather than becoming irritated, join the game and bargain hard! It is also recommendable to check prices of the same items in the neighborhood before reaching a deal. If you being followed by street vendors and do not wish to make a purchase, often the best course of action is say “no” firmly and politely, and continue on your way. Do not hesitate or linger, as this will encourage the seller to try and engage you further. If you choose to ship items home, we highly recommend that you buy shipping insurance and check the policy details. As shops are not responsible for damages incurred en route, it’s better to be safe than sorry. It is always a good idea to come to a foreign country (whether for travelling, intern or study abroad) well-prepared with proper code of conducts and ready to experience the culture with the minimum amount of culture shock. 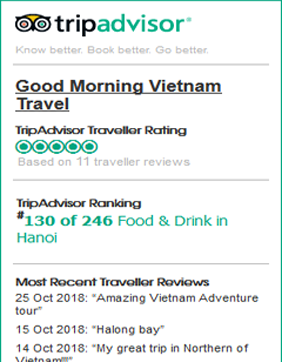 Vietnamese are world-known friendly and they would appreciate it a lot if they see travelers making the effort of learning and trying to respect their etiquette. In feudal Vietnam, clothing was one of the most important marks of social status and strict dress codes were enforced. The Dong is the official currency of Vietnam. It is divided into 10 hao, which are subsequently divided into 10 xu.